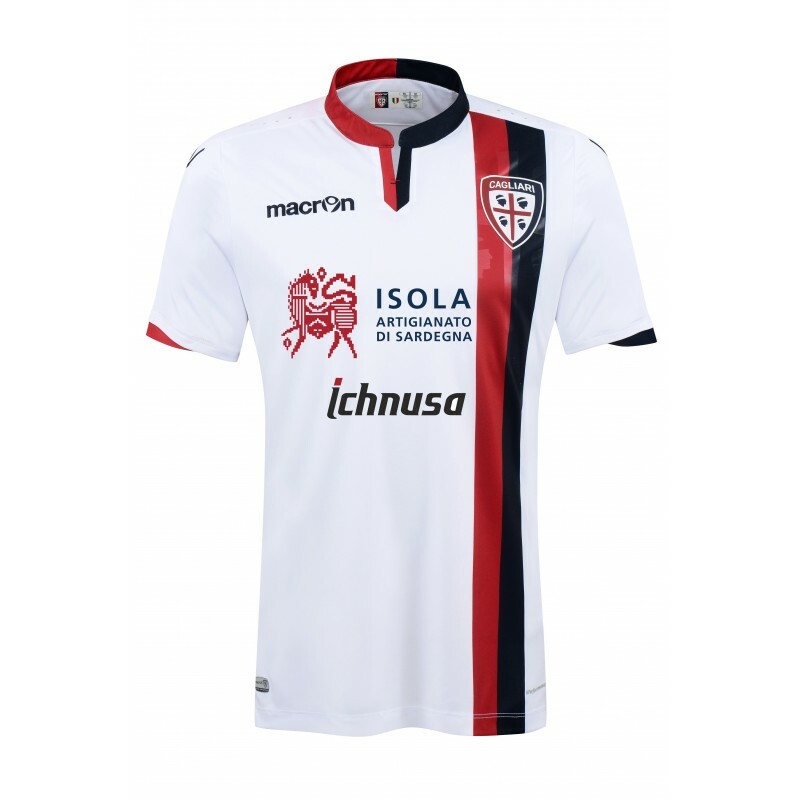 Cagliari soccer jersey away 2016/17 Macron. 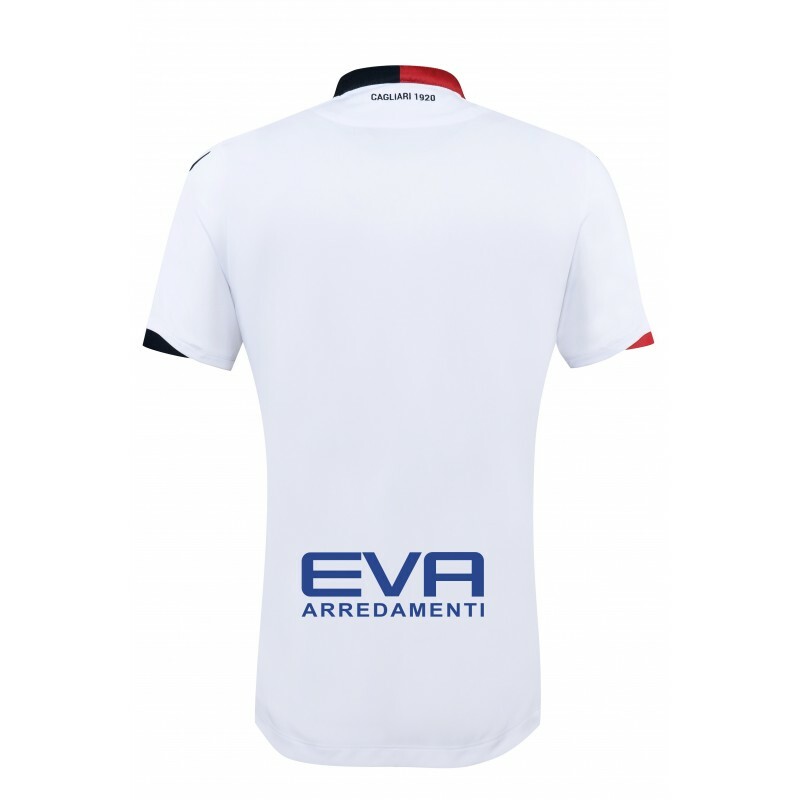 Fabric Softlock with mesh panels that promote breathability and lightness of the head. Color white, all along the front left of the shirt and run in two bands, red and blue, which are the background to the 4 Mori embossati on the side of the heart. 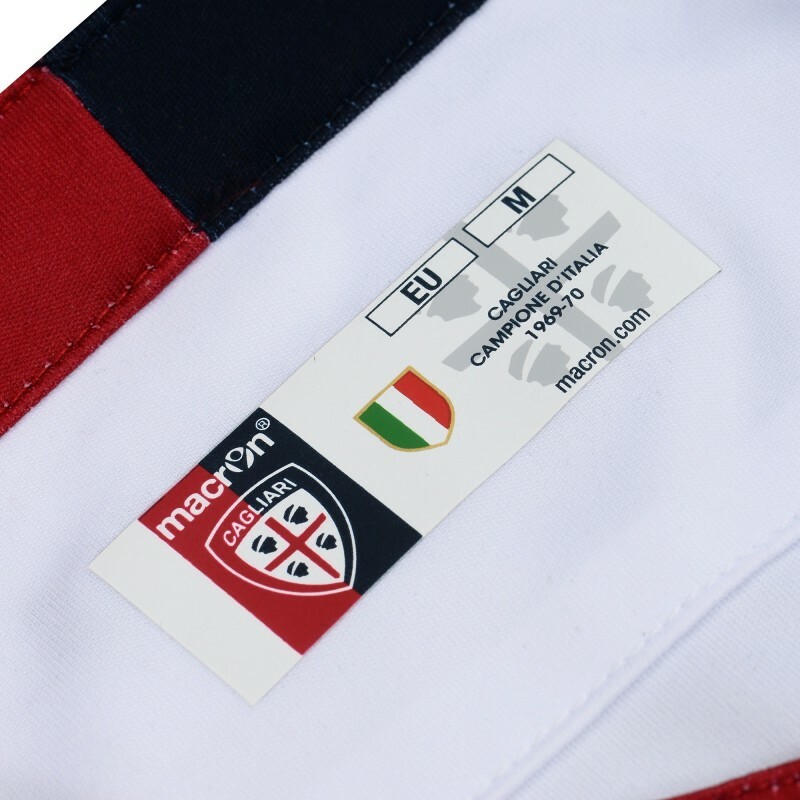 On the bottom of the jersey in the lower right is the logo of the authenticity of the product Sponsor Ichnusa and Island Crafts of Sardinia thermo applied.